I always love looking at "spend and save" posts! Whether it be two similar outfits or just a collage of products, they always interest me. 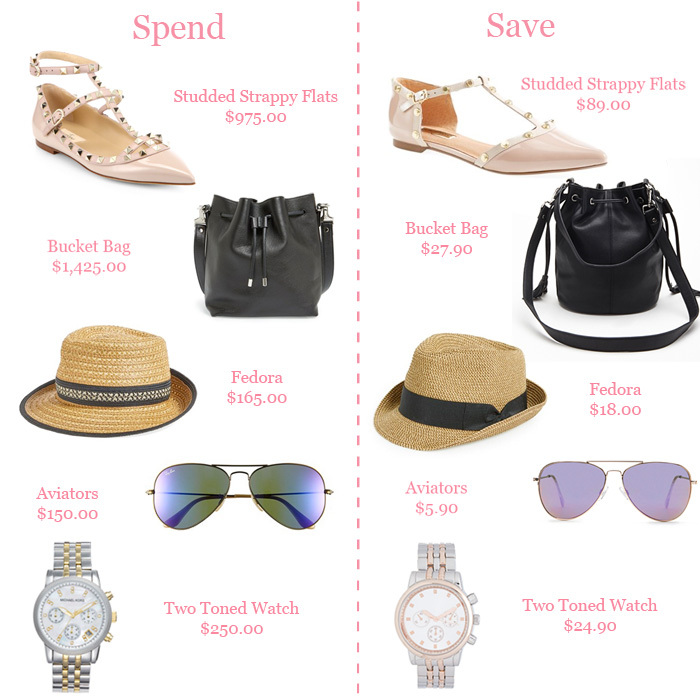 It's been a while since I have done anything regarding spend and save so I decided with spring just around the corner I would pull together a list of some must-have spring accessories! Now all you have to do is decide if you are going to spend or save? P.S. How amazing are those "save" shoes at the top! They are a fraction of the price of the Valentino's and they are my favorite thing on this list!